You are here: Home / Breakfast / Mirabelle Plum Jam – delightful for breakfast! 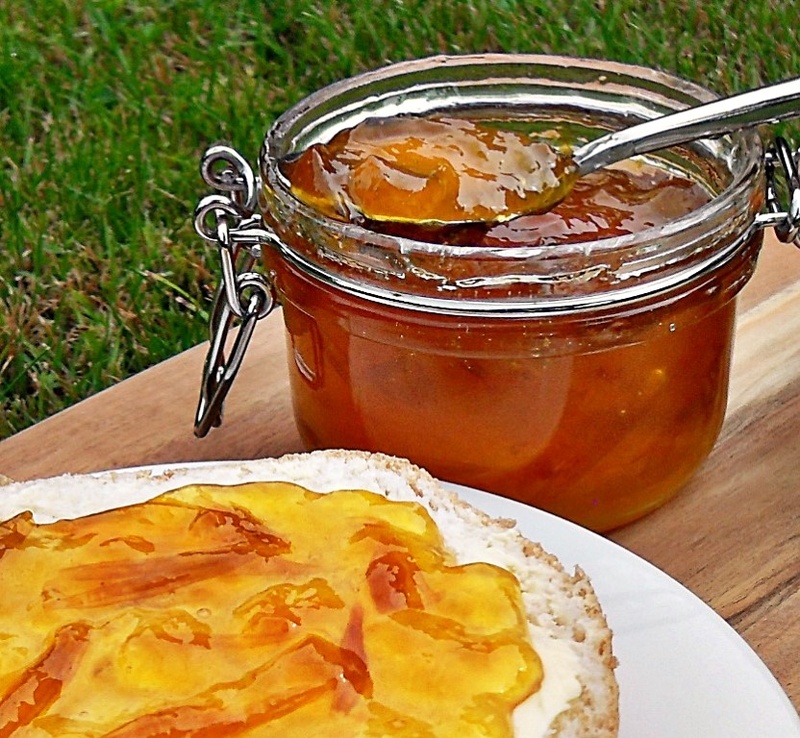 Mirabelle Plum Jam – delightful for breakfast! Today I have pleasure in sharing with you my Mirabelle Plum Jam! My daughter has re-named me “The Crazy Jam Lady” and had me in stitches with a skit she performed for me the other day. I think it’s one up on “Crazy Cat Lady” so I’ll go with that! Well after a busy week I really just wanted to catch up on the housework and have a bit of a rest last weekend, but a sudden delivery of Mirabelle plums put my plans on hold (well the rest bit at least). My parents had new neighbours and on introducing himself my father was asked if he’d like any of the ripening plums that were weighing down 5 trees in their garden. 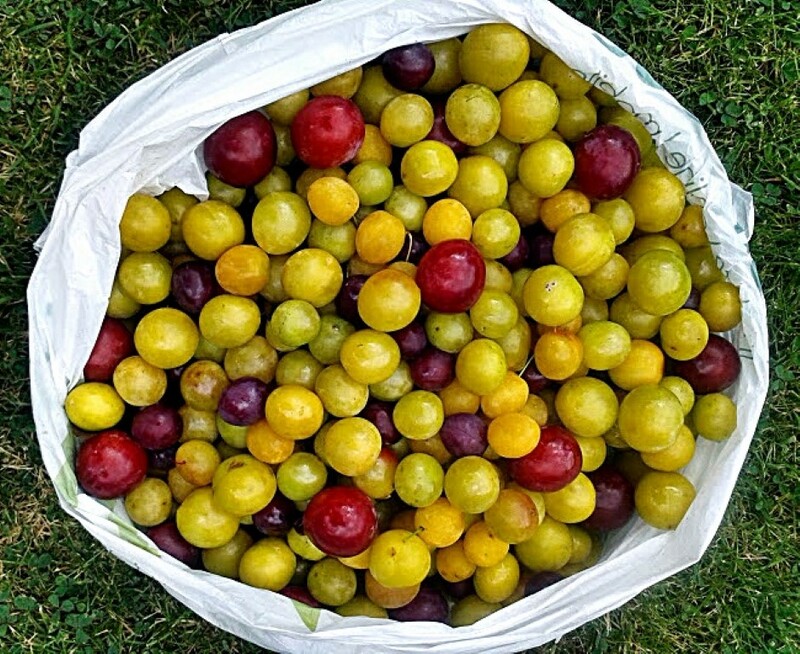 Hence I found myself with a very large bag of plums, most of which were Mirabelles! I knew I couldn’t afford to hang about as many of these plums were very ripe so I put them in the fridge and set about turning them into Mirabelle Plum Jam the following day! I have never even had a Mirabelle plum before but most of them are made into either jam or pies and the juice is fermented into wine or distilled into plum brandy! Mirabelles are harvested between July and September so now is the time to make these jewel like fruits into jam and enjoy them when the weather turns colder! If you’ve never tried Mirabelle Jam then I can say it reminds me a little of a more delicate version of apricot jam and so is ideally suited to being a breakfast preserve as well as a tea time treat! Both my son and husband loved this jam. Indeed my husband stood and proclaimed on tasting “You can make any jam it seems!” My daughter is not as adventurous with her taste buds yet but that just leaves more for everyone else. A jar of said jam has gone back to my parent’s neighbours as a thank you, so I do hope they enjoy it once they’ve finished unpacking! Unlike most of my jam recipes this is not a quick one as the removal of the plum stones is rather a labour of love but I think the end result is well worth the time! For more Mirabelle Plum inspiration you might like to check out Mirabelle Plum & Cognac Clafoutis by Cook Sister or Plum Jelly over at Kavey Eats. 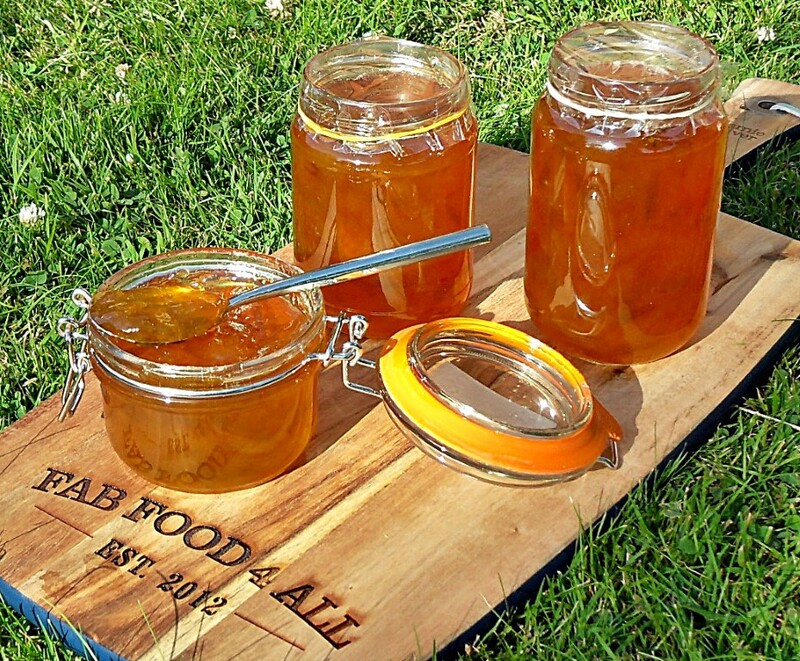 For more breakfast preserve inspiration check out my Peach & Apricot Jam (1st prize winning) and my Simple Shredless Orange Marmalade. If you’re wondering where I got my fabulous “Fab Food 4 All” board from, it was a gift from gettingpersonal.co.uk and is part of their Jamie Oliver range – an ideal gift for the foodie in your life! No Waste Food Challenge which is run by Elizabeth’s Kitchen Diary & hosted by I’d Much Rather Bake than.. Recipe of the Week which is run by A Mummy Too. 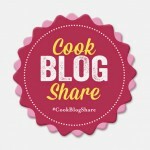 CookBlogShare which is run by Supergolden Bakes. Why not pin Mirabelle Plum Jam for later? 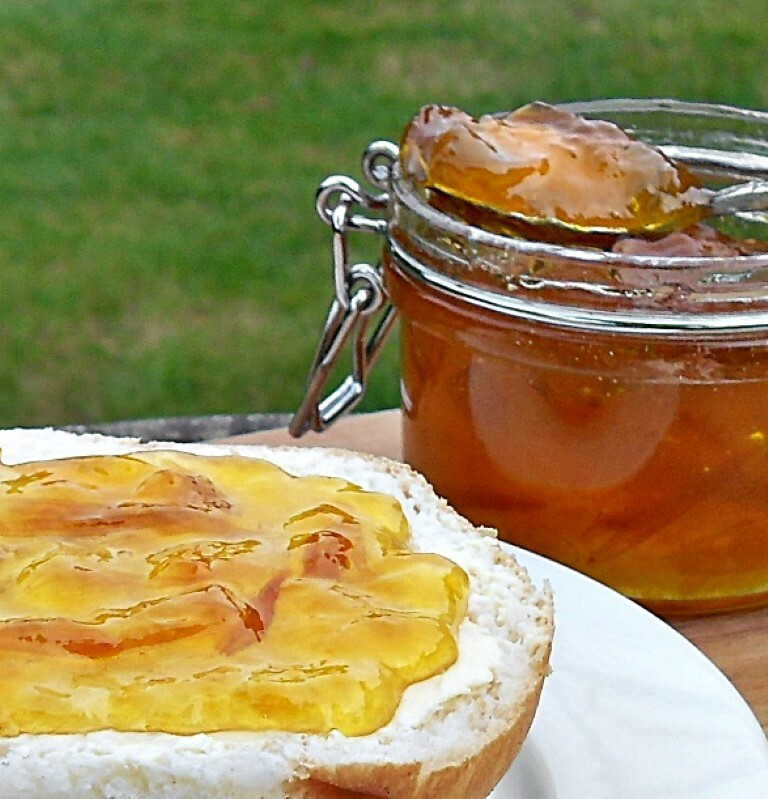 Mirabelle Plum Jam - sunshine in a jar, a sweet and delicate plum jam with hints of apricot. Perfect for breakfast or tea! 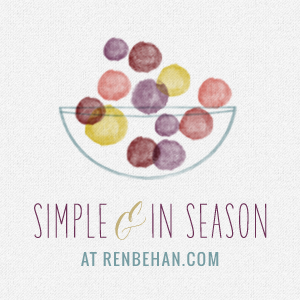 Place the plums and water in a preserving pan and bring to a simmer slowly until cooked. Agitate plums with a whisk and remove the stones (patience required here)! Add granulated sugar and on a low heat stir until dissolved. Bring to a rolling boil and time for 20 minutes stirring frequently. Take off the heat and put a few drops on a chilled plate and place in fridge for a minute. Run your finger through the jam and if it forms a crinkle then it is ready, if not boil for another minute and so on. Remove any scum with a spoon. Pot into warm jars and seal with lids immediately or if using wax discs, place cellophane on once cool. I made 8 jars of various sizes. Put 2 small plates in the freezer before you start. Sterilise jars by washing in hot soapy water or dishwashing, filling with boiling water, emptying and then placing in oven for 20 minutes at 140°C then leave in oven until jam is ready. Washed lids should be sterilised with boiling water and then left to drain. NB: Thank you to gettingpersonal.co.uk for my personalised board, all opinions are my own and I was not paid. I’ve made the jam and tastes wonderful. One small worry is that it still seems quite runny after 2 hours. Is this normal? I usually wait until the next day to test my jams. I imagine after 2 hours the jam is still warm. If you do find that the jam is more like compote than jam then just tip it back into a pan (re-sterilise jars) and boil up until a better set is reached. Made this yesterday with plums from the two trees in my garden- it worked brilliantly and had a rather firm set which was good. I maybe didn’t stir it enough so there was some ‘caramelisation’ on the bottom of the pan- still delicious though! Am making another batch today after getting more jam making supplies! Thanks for the recipe! I will be making this every year I think! I don’t have a preserving pan but do have a very large stainless steel pan with thick bottom which measures 22 cm across and 18 cm high which I would say is the minimum size you need unless making something like my one punnet strawberry jam. You need the space for the rolling boil as it all rises up. I’ve just tried your recipe for the Mirabelle Plum Jam for the very first time – wonderful flavour! However prior to putting the plums into the pot I sliced them in half and removed the pits – but I also put the pits into the pot too. I’m sure that they add to the flavour and they are very easy to remove when the cooking is done as they seemed to be floating on top of the jam. What a lovely gesture from your parents’ new neighbour! And with a jar of your jam back you’ll surely tempt them to share again next year! Hi I have tons of these plums. I have two questions. 1) you don’t require a citric acid like lime or lemon or orange juice? I’ve never made jam without something to help it solidify? Is there something in these plums that makes them gel without any added pectin? About the pitting process, given I have so many I actually liked the idea of cooking them and using a whisk to pull out the pits, could I also put them through a sieve to get the pits out after cooking or will that pull the skins out too? Hi Yana, some fruits are naturally high in pectin and plums are in this category, you might find this link useful: https://www.bakingmad.com/faqs/how-do-i-know-the-pectin-levels-of-the-fruit/ and with regard to the pitting, I found it useful to pit as some plums might have rotten bits in but if you want to agitate with ha whisk and fish out then you can. I wouldn’t advise using a sieve as it would quickly get clogged up with the skins and would take forever to push through, plus you’d ruin the beautiful texture of the jam. I would also google what the maximum number of kilos of fruit is ok to make into jam as you can affect the set if you try to make too much at once. Good luck! My son came home with a little bag these beautiful golden plums that he had picked. I only had 600g but managed to make a nice quantity. Used sugar with pectin which made the cooking easy. I did remove the pips after washing – wanting to cut open these ‘wild’ fruit to check them each before cooking. The taste of the jam is interesting and different to the fresh fruit taste – definitely a hint of apricot. Well worth the effort – thank for the inspiration. Just made this, thanks for sharing! Added a little less sugar as I like it tangy, but otherwise kept it as is. Look forward to trying it! Thank you for this recipe- I now have a row of pots of jam cooling on the windowsill. I returned to London from Northants yesterday with a huge bag of Mirabelle’s (which I had to google to find out what they were!) and immediately searched for a jam recipe. It turned out to be the best way to shake away the rainy Monday morning blues and the kitchen smells lovely while I get on with my work. I didn’t even mind chasing down the endless plum stones! I found it was easier to pick them out while the sugar was melting as they were easier to see. Can’t wait for a dollop of golden jam on my morning toast. It’s a wonderful jam and I was so pleased to find a jar in my cupboard the other day. It’s great for breakfast and I even use it in Coronation Chicken in place of apricot jam which it is quite similar to. Glad you found my recipe and that it cleared away the Monday blues:-) Enjoy! I love the sound of plum jam – I don’t think I’ve ever had any – though I’ve had damson jam which I guess would be a similar though of course darker – and I do like that. Ooh, apricot jam – there’s an idea. Apricots seem to be good and cheap atm and I love apricot jam. I think this recipe would work with them. 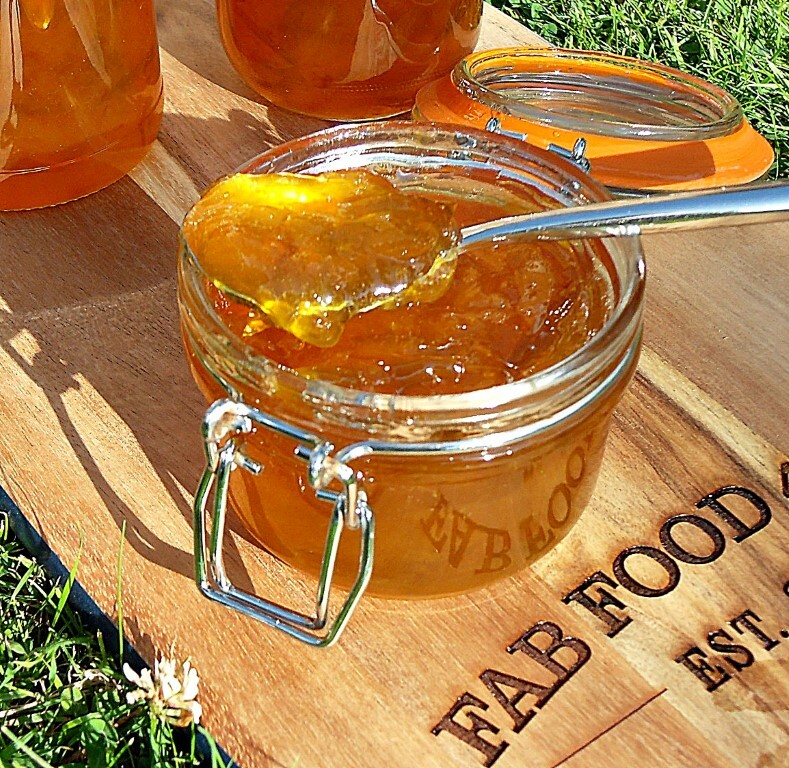 I do have an award winning Peach & Apricot Jam if you fancy that and you could always just make it with just apricots!